Magnesium improves cognition, memory, learning, recall, reduces brain fog, is an antioxidant, helps neuroplasticity, and protects against glutamate-toxicity. Magnesium is the 4th most abundant mineral in your body. And critical for optimal cognitive health. It is a cofactor in more than 300 enzymatic reactions in your body. In your brain, magnesium regulates the activity in neuron ion channels. These channels are like tiny electrical switches. Governing the flow of neurotransmitters within neurons. Magnesium also regulates brain synaptic plasticity. Which is critical for learning and memory. Magnesium is critical to all of your body’s electrical and electrochemical activities. It’s involved in muscle contractions, heart rhythm, nerve function and brain cell activity. Low blood magnesium levels show up as seizures, hypertension, stroke, migraines, and ADHD. It can also result in insulin resistance and type II diabetes. Neuroplasticity: Magnesium controls the ion channels in brain cells. These tiny electrical switches control the transmission of electrical signals between neurons. Directly regulating learning and memory. Brain Energy: Magnesium is necessary for ATP synthesis. It’s needed for the Krebs cycle that turns sugar and fat from your diet into ATP. The primary fuel source for mitochondria in brain cells. Neuroprotectant: Low levels of magnesium in your diet correlate to a high incidence of neurodegenerative disease. How does Magnesium Work in the Brain? 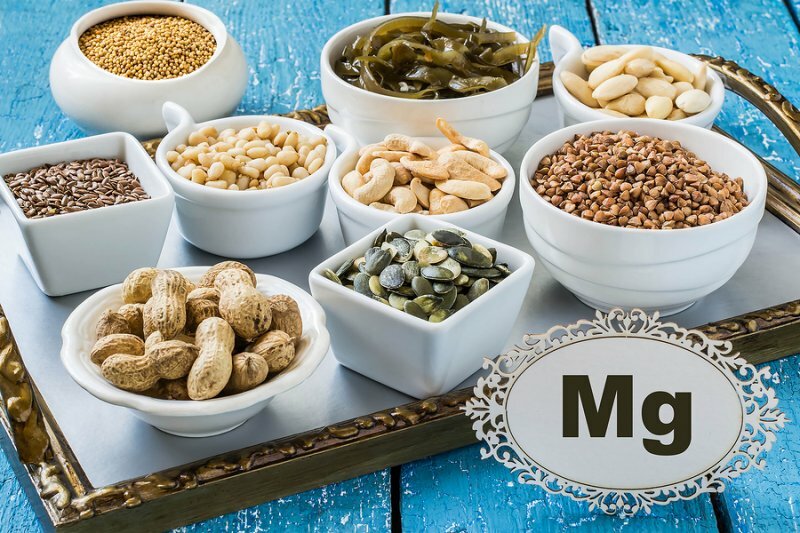 Magnesium in our diet comes from foods like green leafy vegetables, beans, nuts, seeds, whole grains, poultry, beef, and salmon. Tap, mineral and bottled water also used to be good sources of magnesium. But varies by brand, source and if the magnesium has been filtered out during processing. Magnesium is an essential part of neuroplasticity. Brain plasticity is the ability of your neurons to make cell-to-cell connections to form and regulate learning and memory. With aging, or insufficient magnesium in our diet, we lose brain plasticity which results in a loss of cognitive function. [iv] This is why a young person, with an active, flexible brain easily catches new ideas. And simply thinks faster than a person whose brain has lost plasticity and is more fixed in their patterns. Magnesium is also crucial to synthesizing ATP (adenosine triphosphate). The primary energy source for mitochondria in every one of your cells. Including the brain. ATP must be bound to a magnesium ion (Mg-ATP) in order to be biologically active. This is critically important to how your brain’s mitochondria and cells use ATP. Including the synthesis of DNA and RNA. To put this in perspective, over 300 enzymes require the presence of magnesium ions for their catalytic action. Including all enzymes utilizing ATP. Magnesium is even involved in how the other nootropics in your stack are utilized by cells in your brain. The bottom-line is magnesium could be one of the most important additions to any nootropic stack. Magnesium boosts brain health and function in several ways. But two in particular stand out. Magnesium is critical for neuroplasticity. Your brain is capable of forming new connections between neurons. When you take in new information, a signal is sent across the synaptic space between neurons. 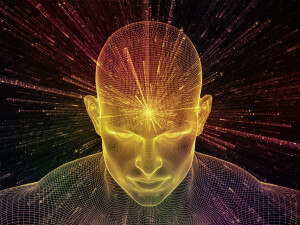 The ability of your brain to form these new connections is referred to as neuroplasticity. This neuroplasticity is how learning and memories are formed. When these signaling pathways break down, memories fade. And you start to forget simple things like people’s names or phone numbers. A simple example of how this works is reading this article. 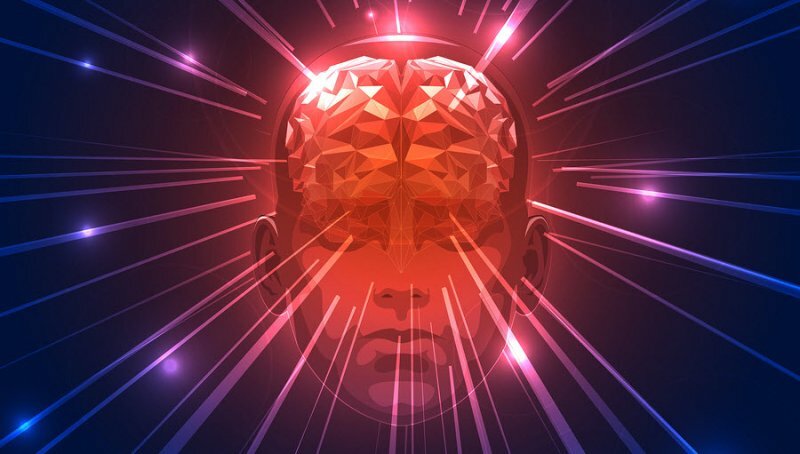 As you read this, your brain is forming and reforming new neural connections. When things aren’t optimal, you find yourself reading and re-reading sentences. The more signals that these ion channels transmit, the stronger the connections between neurons. And the stronger the formation of the resulting memory. Magnesium is required for ATP synthesis. ATP (adenosine triphosphate) is the main energy source for the mitochondria in brain cells. 20% of your body’s total ATP is located in your brain. For ATP to be biologically active, it must be bound to a magnesium ion (Mg-ATP). [vii] About two thirds of your brain’s energy budget is used to help neurons send signals to neighboring neurons. The remaining third is used for housekeeping, or cellular maintenance. Wei Chen, a radiologist at the University of Minnesota Medical School was co-author of a study on the brain’s use of ATP. The team used magnetic resonance spectroscopy (MRS) to measure the brain’s energy production during shifts in activity. Their study on lab rats noted that when the rats were knocked out, they produced 50% fewer ATP molecules than when mildly anesthetized. Chen noted that the ATP produced when the brain is inactive, it goes to cell maintenance. [viii] This housekeeping is important for keeping the brain tissue alive. The other two thirds are needed for other cellular processes including recharging neurons so they can fire. And create the electrical signals needed for neuron communication. Required for learning, memory, recall and cognition. Without magnesium, your brain cannot produce ATP, and all brain function breaks down. As we get older, our brain chemistry and metabolism changes. All of these changes can happen at any age. And can be a result of not getting an adequate supply of magnesium. So magnesium supplementation can help for age-related cognitive decline, as well as anyone who wants to boost cognition, learning, recall and memory. Magnesium plays a critical role in supporting neuroplasticity which is fundamental for a youthful, flexible brain. A brain that is optimized to support cognition, learning and memory. Most neurohackers report an increased level of focus, energy, memory, and cognitive ability when supplementing with magnesium. You should also experience an improved quality of sleep. And have an overall improvement in mood. Research has shown that magnesium is involved in memory, learning and cognition in several levels. And supplementing with magnesium is one of the most fundamental things you can do to boost cognition. Researchers have found magnesium works in the hippocampus to suppress the release of the stress hormone ACTH (adrenocorticotrophic hormone). This is the hormone that tells your adrenal glands to release more cortisol and adrenaline. Too much cortisol eventually damages the hippocampus in the brain. 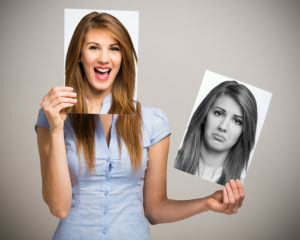 This causes a negative feedback loop which results in even more stress. Which is toxic to the brain and your entire body. And one of the causes of chronic depression. A study was done with 5,708 people aged 46-49 and 70-74 years old in Norway. The aim of the study was to examine the association between magnesium intake and depression and anxiety. Magnesium in the treatment of ADHD is becoming more mainstream. And there is a growing body of research that supports the idea that one of the factors causing ADHD is a lack of magnesium. Recommended magnesium dosage in most common forms is 400 mg per day. But the problem is most magnesium supplements don’t work well as a nootropic. Because they don’t cross the blood-brain barrier. This form of magnesium was patented and now produced by MagteinTM Science. Several supplement companies sell magnesium with this branded form. Recommended dose of Magnesium-L-threonate is up to 1 gram per day. Chelated magnesium and lab-grown magnesium are suitable alternatives and covered in more detail below. Magnesium is water-soluble so you don’t need to take it with a meal, or healthy fat like some nootropics. 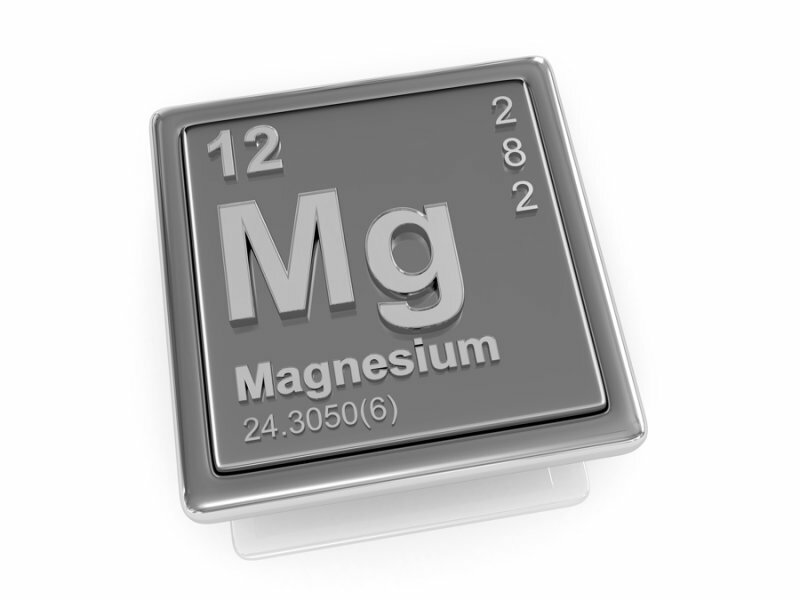 Most forms of magnesium can cause diarrhea and bloating. Magnesium-l-threonate contains less elemental magnesium per dose and should not cause gastrointestinal upset. Magnesium is sold in as magnesium aspartate, Bisglycinate, citrate, lactate, oxide, chloride, Taurate, and magnesium L-threonate. Depending on the type of magnesium; it comes in capsules, chewable tablets, powder, extended release tablets, or in a liquid solution. Magnesium oxide is widely available in supermarkets, drug stores and vitamin shops. It’s popular because it’s cheap to manufacture. But it’s not chelated, and your body does not recognize it as a mineral it can readily use. As an individual supplement, the patented form of magnesium-l-threonate (MgT) called MagteinTM easily crosses the blood-brain barrier. And is recommended because even in high doses does not cause diarrhea. Most multivitamins include a small amount of magnesium oxide which is useless as an ingredient. A far better option is Performance Lab’s Whole-Food Multi for men or women which includes their proprietary BioGenesis® form of magnesium grown in a yeast culture. It’s nature-identical and highly bioavailable. Performance Lab® Sleep which contains a combination of magnesium Bisglycinate, magnesium Taurate, and BioGenesis® magnesium. This sleep stack also contains L-Tryptophan and Tart Cherry Concentrate. The magnesium works with L-Tryptophan to help synthesize serotonin which then produces melatonin in your brain. And Tart Cherry is a natural source of melatonin. 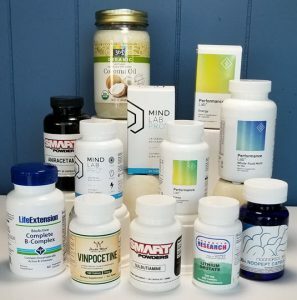 I highly recommend this nootropic sleep stack and you can find my full review here. We recommend using Magnesium as a nootropic supplement. Your body does not make Magnesium on its own. So to get its benefits it needs to come from your diet. Or you must take it as a supplement. Magnesium is especially helpful for boosting memory, learning, recall, mood and cognition. Magnesium is also particularly useful to help alleviate some of the symptoms of ADHD. And to help restore memory caused by neurodegenerative disease like Alzheimer’s. While most forms of magnesium are helpful for overall health, most are not very helpful for cognitive health. So choose your magnesium supplement wisely. Magnesium is also useful to help you fall asleep and stay asleep. I recommend my favorite sleep stack Performance Lab® Sleep which has magnesium, L-Tryptophan and Tart Cherry extract. 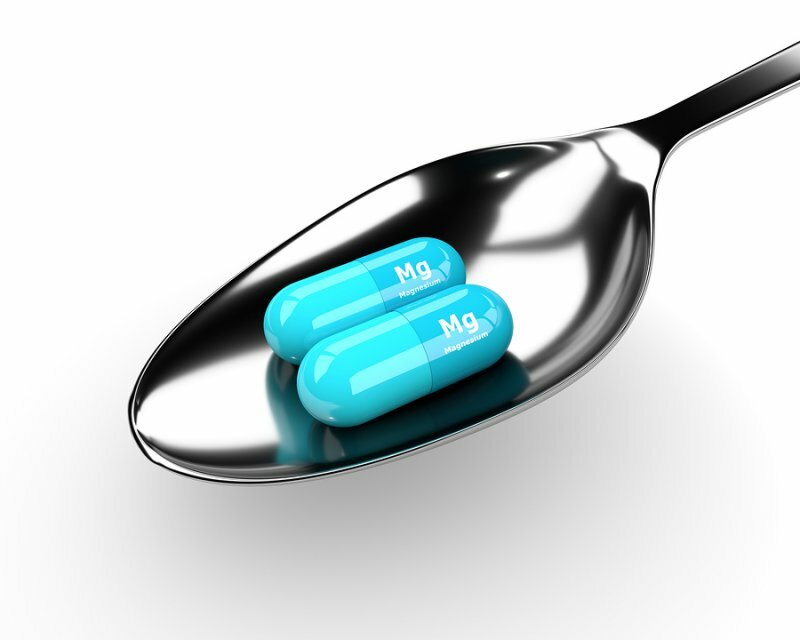 As an individual nootropic supplement, we recommend magnesium-L-threonate (MgT). MgT has been proven in the lab to easily cross the blood-brain barrier. And to boost cognition. And if you are counting on getting at least some magnesium from your multivitamin supplement, know that most brands use magnesium oxide which is cheap and not bioavailable. Performance Lab’s Whole-Food Multi for men or women is a better choice because it uses nature-identical, lab-grown vitamins and minerals including magnesium. Which are digested easily and go straight to every cell in your body for the energy and repair you need every day. I have been taking 500mg magnesium citrate with no side effects for years. Itried life extension neuro mag ( magnesium l-threonate) last night for first time. I had a difficult time waking up the next morning. Then diarreah symptom started. Any idea why? James, magnesium l-threonate was created to be much more bioavailable. And diarrhea is a symptom of a little too much magnesium. Try cutting your new magnesium supplement in half by cutting the tablet, or emptying out half the capsule. And see if that solves the gastrointestinal issue. This can happen with any version of magnesium and is simply an indicator of a little too much magnesium at once. It’s not dangerous. I was just doing some research on magnesium Threonate and am finding the labelled dosage rate a bit confusing and was hoping you might be able to throw some light. For examples some brands have the following: “Serving size, 3 capsules, amount of magnesium per serving, 144mg (from 2000mg of magnesium L- threonate). So am I getting 144mg per serving or 2000mg? Or does it mean that 144mg per serving is the same as 2000mg of Mag L-Threonate? Sorry for the dumb question and maybe it has an obvious answer? Paul, not a dumb question. The 144 mg is more than likely the available “elemental” magnesium in that dose. The remainder are the carrier (in this case L-Treonate) and any other additives. All brands I see have that 3 capsules equals 2g of magnesium L- threonate. But recommended dose is 1g, so you would need to take 1 capsule and empty half of another one?. Sounds messy. Do you know any brand with capsules with 1g of magnesium L- threonate, or even 500mg each please?. Joseph, I’m not familiar with dosage per capsule of individual brands of magnesium. But I would not be too concerned about it because the worst “side effect” of a little too much magnesium is diarrhea. I suggest trying the first one you mentioned where 3 capsules = 2 g magnesium. And start with one capsule. See how your body reacts. Then in 2 – 3 days increase your dosage to two capsules. David, Can I ask you if you are not familiar because you take magnesium via the Performance Lab Sleep?. I see on their website that it has 100mg of Magnesium per capsule, but recommended dose is 1000mg?. As I was planning also adding L-Tryptophan to my stack. I see this product has it as well, 250mg per capsule. So it should be 2 capsules for recommended dose of 500mg?. Enough?. I have in mind so far the ones you call “basics”: DHA, magnesium, and the Perfomance Lab MultiVitamin. And then had thought, from reading your great work during last week, a combination of L-Tryptophan, Ashwagandha(not sure about Gotu Kola side effects), plus Bacopa Monnieri. Dont know if adding one or two of L-Theanine, Rhodiola Rosea, Lions Mane, Lemon Balm or Picamilon, can be redundant to those. I have still to read it all more thoroughly. I dont mention Aniracetam because I have the impression it is more of an antidepressant, boosting energy-alertness. My problem is more anxieaty-stress. But I might be wrong. Joseph, Performance Lab Sleep is two capsules for 100 mg magnesium and 250 mg L-Tryptophan. I personally add another 300 mg magnesium and in your case would take an additional 250 mg L-Tryptophan before bed. Use that stack along with DHA, and the Multivitamin for a few days and you should begin to feel less anxiety. If you still need more antianxiety help then try adding L-Theanine and Lemon Balm. They should be easy to get and should work fairly quickly. See how that works for you and report back if you need more help. Thank you for these ideas, I am going to try. 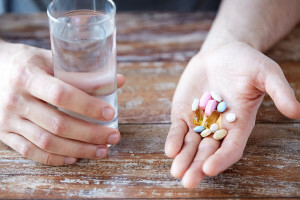 You know some doctors suggest to take supplements during some time, and then to take a break. For example Taking them for 3 months, then 1-2 months off, and repeat the cycle again. I guess for some thigns is too long a break. I have heard it about Vitamins and Magnesium mainly. I dont know the medicine logic behind this. 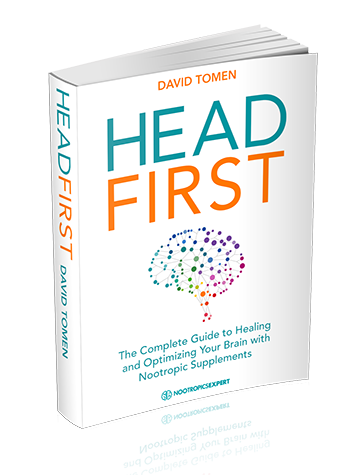 Do you have an opinion about that from a nootropics point of view?. 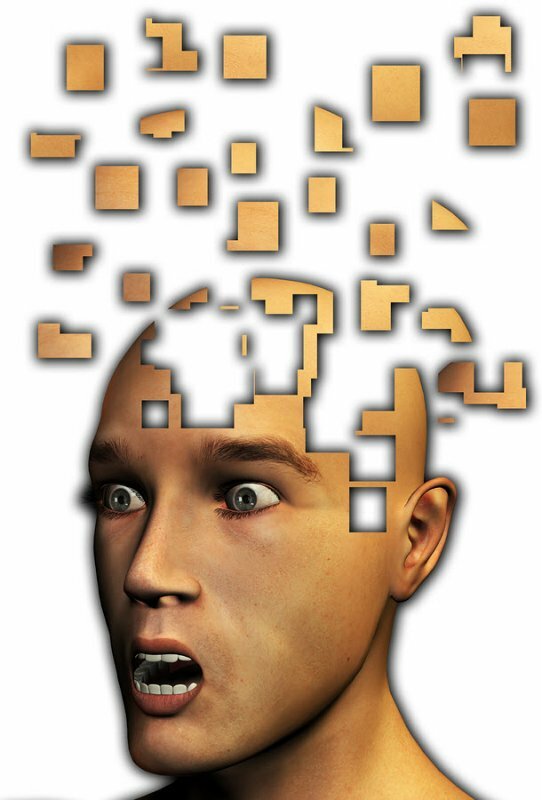 Joseph, some nootropic supplement should be cycled. Here’s one example, DHEA is steroid hormone. Most recommend using it for a month then taking a month “hormone holiday”. But I use it every day and have great results. Because my body desperately needs DHEA. There is no reason to cycle vitamins and minerals because your body and brain need these nutrients every single day. The only thing to be cautious about are dosages, and if there are fat-soluble. Water soluble vitamins not used by your body are excreted in urine. But fat-soluble supplements are stored in fat. And can build up to toxic levels over time if you are dosing too much. 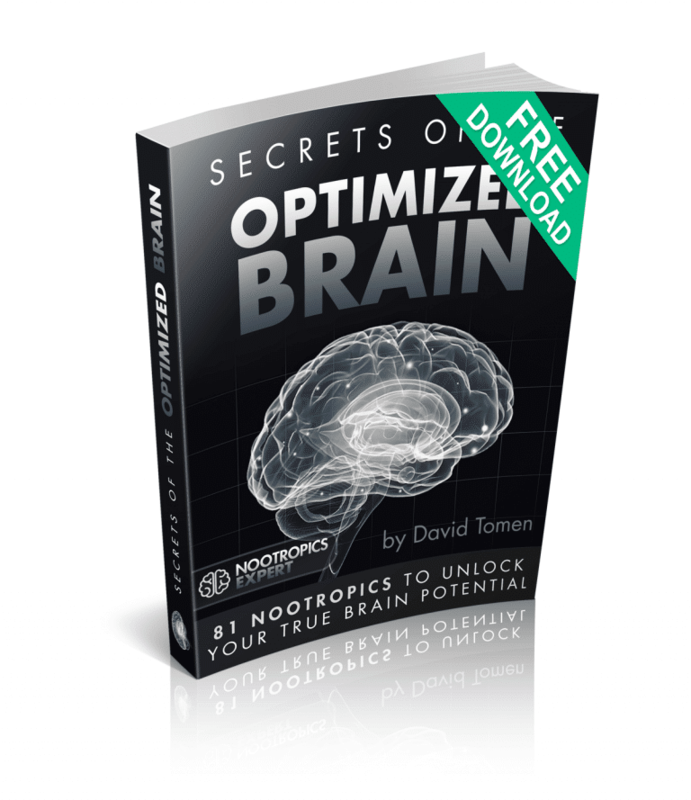 See dosage instructions and side effects for each vitamin and mineral here on Nootropics Expert. Then you’ll know which to cycle and which ones you can use every day. Clearly explained David. Thank you. Your page is very good let me tell you. Wish you the best. Magnesium reduced anxiety big time. I would go so far to say that it cures anxiety. Thanks. Ricky, try magnesium l-threonate and see if it works for you. 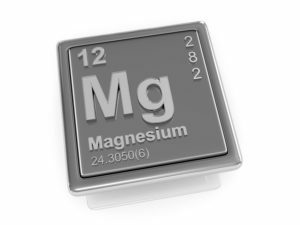 Recommended dose of Magnesium-L-threonate is 1 gram per day. In you case you may need more. But start with the lowest recommended dose and go from there. I have been taking magnesium complex once a day before sleep and I would like to start Magnesium-L-threonate instead. The suggested time to take Magnesium-L-threonate is twice a day, once during the daytime and another before sleep. Is it OK if I will take it only once before sleep? Mick, yes and that’s when I take magnesium. About 90 mins. before bed. Helps me sleep and have a pleasant experience in the bathroom the next morning. I’m Taiwanese. I extremely appreciate your nootropics supplement introduction in your YouTube videos. I want to take 300 mg of magnesium glycinate to support my sleep quality too. I’m wondering that when we fall asleep, our digestive system would slow down. Then magnesium will not be totally absorbed and will hoard in our body which may cause damage. Is taking magnesium before bed really a good idea? Thank you! Zhongting, I’ve been using 400 mg magnesium glycinate before bed for years with only great results. No negatives. Magnesium is water-soluble and your body expels excess magnesium once your body figures out what it needs. Deepak, I use much more magnesium per day than what you are suggesting with no problem. 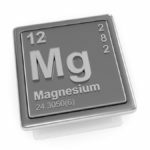 The most severe ‘side effect’ of a little too much magnesium is diarrhea. Thanks for this great article on Magnesium. Based on this I’ve started taking L-Threonate (1 g) for sleep and anxiety. And I noticed a difference almost immediately. I understand that L-Threonate provides great cognitive benefits. But does it provide the needed benefits for other areas of the body like muscles and bones or is it necessary to take another form of Magnesium for this? So far I’m happy with the results of Mg L-Threonate. But after an in depth study of Mg and taking into consideration certain symptoms (and moderate improvement on starting Mg) I believe I’m deficient in this mineral. Listening to folks like Morley Robbins, Carolyn Dean and Dr. Rhonda Patrick it’s become clear that taking more than one form of Mg might be beneficial. From what I can tell Mg Glycinate has about 14% elemental Mg. And L-Threonate has 8%. So on a gram of Mg Glycinate I’ll get 140 mg of elemental Mg. And on a gram of Mg L-Threonate I’ll get 80 mg.
That’s way below the RDA for one thing. But I guess a healthy diet and good multivitamin will make up the rest. My question though is this; is it safe to take a gram of each of these? Considering they will be taken at either end of the day. Sorry if this sounds like a stupid question. Gabriella, not a ‘stupid’ question at all. 1 gram of each may be a little too much. I’d start with 500 mg of each and see how your body does. My doctor has me on 400 mg 3-times per day of magnesium glycinate and I don’t have any problem with it. The nice thing about magnesium is the first sign of too much is diarrhea. Which is not the worst thing that can happen. If it does happen then you reduce your dose until your body stops complaining. I was wondering which other forms are also effective to use. L-threonate is pretty expansive compared to the oxide version. Would something like magnesium citrate be OK? Thanks. Hi David, what is the difference between chelated magnesium and magnesium l-theonate? Is one superior to the other? Thanks. Dan, both forms of magnesium are chelated. Magnesium ‘chelate’ is typically bound to the amino acid glycine which helps in it’s absorption. And is great for sleep because glycine is an inhibitory neurotransmitter. Magnesium L-Threonate is magnesium chelated or bound to L-Threonate which affects NMDA receptors. Helping long-term potentiation which is critical for forming long-term memory. Is Mag-L T safe to take with NAC? I want to take it for social anxiety, depression, and migraines. Thanks! Kaya, they are absolutely safe to use together. But I suggest using NAC morning and night. And Magnesium before bed.